Call him the Rickshaw-wala, Chai-wala or thela-wala after his looks, he is not gonna stop, he is not gonna listen, he is not gonna say you a word. He will always have a smug smile on his face. The very talented, The National award winner for Best actor, the lead actor of Hindi film "Raanjhanna", the singer of one of the most viewed video song on YouTube "Why this Kolaveri di", the young and dynamic Dhanush K Raja. Dhanush recently won the Best actor award in Chennai Times Film awards second edition for his blockbuster movie 3. Dhanush born as Vengatesh Prabhu Kasthuri Raja on 28 July 1983, Chennai, Tamil Nadu, India is an Indian film actor, producer, lyricist and playback singer of Tamil cinema. Dhanush owns a film production house under the banner name Wunderbar Films. With his blockbuster movie 3 (2012), and with the huge success of song track "Why This Kolaveri Di" from its soundtrack album, Dhanush came into limelight. Dhanush has won the National Film Award for Best Actor for Aadukalam (2011). Some of his highly acclaimed movies includes Kadhal Kondein (2003), Pudhupettai (2006), Polladhavan (2007) and 3 (2012). Dhanush made his Bollywood debut in the year 2013 with Raanjhanna opposite to Sonam Kapoor, film worked welll and actor got critical acclaims. On 18th of November 2004, Dhanush tied the knot with Aishwariya Rajnikanth, Superstar Rajnikanth’s daughter. The couple are now the parents of two children Linga and Yatra. Dhanush had debuted into the industry with his father’s film ‘Thulluvado Llamai’, starring Dhanush. The film was a blockbuster. But Dhanush actually came to limelight with his brother, Selvaraghavan’s very first directional venture titled ‘Kadhal Kondein’, starring Dhanush. This film was a huge success and it catapulted him into the main foray of Tamil actors in the Tamil film industry. 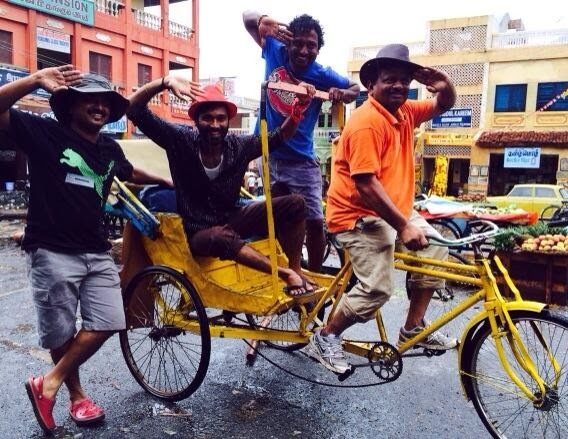 Next was Subramaniam Siva’s ‘Thiruda Thirudi’ along with Chaya Singh and Manikka Vinayagam. This was Dhanush’s first ever lead actor movie and he received critical acclaims for his performance in the movie. 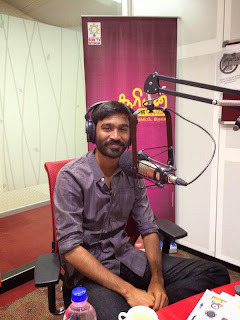 As a playback singer, Dhanush sung several numbers in various films such as '3', 'Pudhukottaiyilirundhu Saravanan', Pudhupettai', 'Aayirathil Oruvan' and 'Mayakkam Enna'. As a producer, he will be producing the 2013 Senthil directed ‘Ethir Neechal’, starring Sivakarthikeyan, Nandita and Priya Anand. Dhanush had been nominated to become the brand ambassador of PETA with the title of India's Hottest Vegetarian Celebrity of 2011. He has also worked with WWF India to support Earth Hour 2012.